A few easy ways to give…and please share these opportunities with your friends, also! 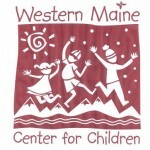 When you shop on Amazon.com, choose “smile.amazon.com” as the web address and select Western Maine Center for Children as the non-profit organization of choice. A portion of your purchase will be donated to WMCFC. Our bottle redemption box is situated in the front of the Mountainside Grocery store (to the right of the front door). The store is located at the bottom of the Sugarloaf Access Road. Pick up some Clink bags in the lobby of the CV Public Library and Community Center and return your redeemable bottles and cans at your local Hannaford anywhere across the State of Maine! Recycle your ink and toner cartridges, old cell phones or electronics with us and Funding Factory gives us credit for school supplies! Drop off items at WMCFC or the Sugarloaf Child Care Center in Gondola Village. < As always, thank you for your support! The little things really do add up! Check out our facebook page for photos from the auction.